This time OnLive MJ had his livecast on Tuesday, so it looks like livecasts will really be on Tuesdays 2pm PT. 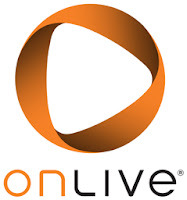 There will be no livecast next week as OnLive will be on the GDC and is preparing surprises for the GDC. OnLive MJ will be interviewing indie developers, who are bringing their games to OnLive, at GDC next week. He will post these interviews. - Livecasts will be at 2pm PT from now on. - IGF - OnLive is showcasing 16 indie games. 30 minute demos for each game. You can play the demos more than once. - Are we going to have them all on the service? 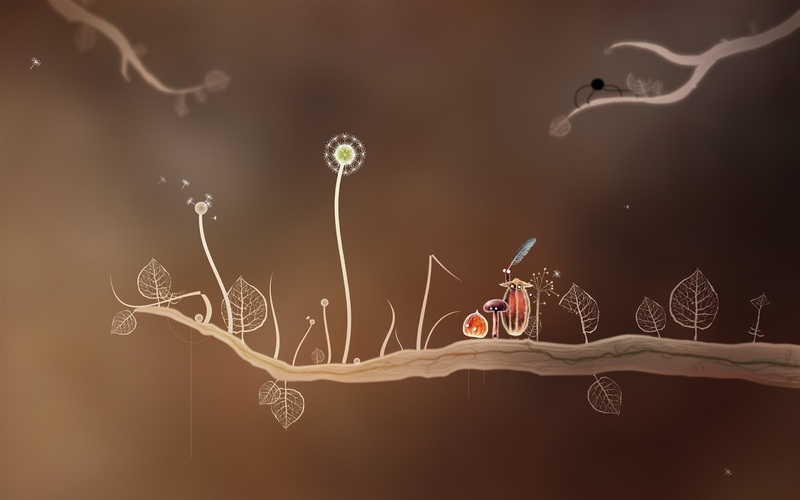 These games are in many different stages of development. Some aren't even close to being done. FTL is still in alpha mode. FTL is on Kickstarter with a $10,000 ask. They hit it in a few hours. - Matt will be bringing us interviews with the indie developers next week. There will be no livecast next week, but there will be interviews with the indie developers (Tues, Wed, and Thurs) from GDC. - OnLive is working with the indie developers to bring the games to the service. They'd love to have them on the service. - A lot of the indie showcase games are being played for the first time, so the developers are looking forward to hearing feedback, and first hand interaction for their games. The developers are spectating people play, and talking to players to get feedback. It's a real time interaction with the users. - OnLive is giving away prizes for those that "Like" the indie showcase games on the OnLive Facebook page. You can like them all if you want. - This is not taking OnLive's focus away from AAA games and more produced games. Coming soon. Pre-order coming soon. No date yet. 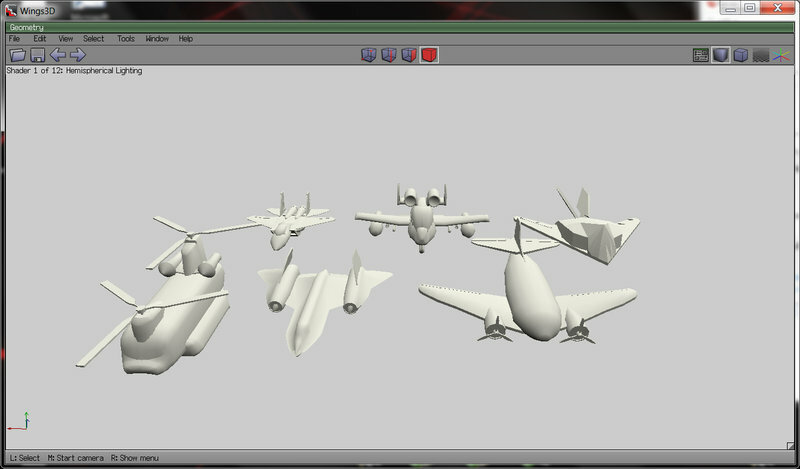 - Fun GDC stuff coming next week. 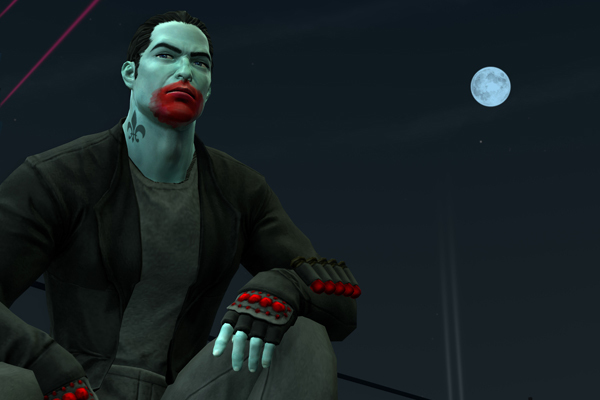 Yesterday, OnLive released the Bloodsucker Pack add-on for Saints Row: The Third. The add-on costs $1.99 in the US ($1.39 PlayPack) and £1.49 in the UK (£1.04 PlayPack). Keep the cash flowin' with the Bloodsucker Pack. You'll earn respect and get cash bonuses but it doesn't stop there! You also get payments, money drop, and the brand new ability to latch onto your captives and regain health through your human shields with The Dracula skill. You perform The Dracula skill by pressing in on the right stick. 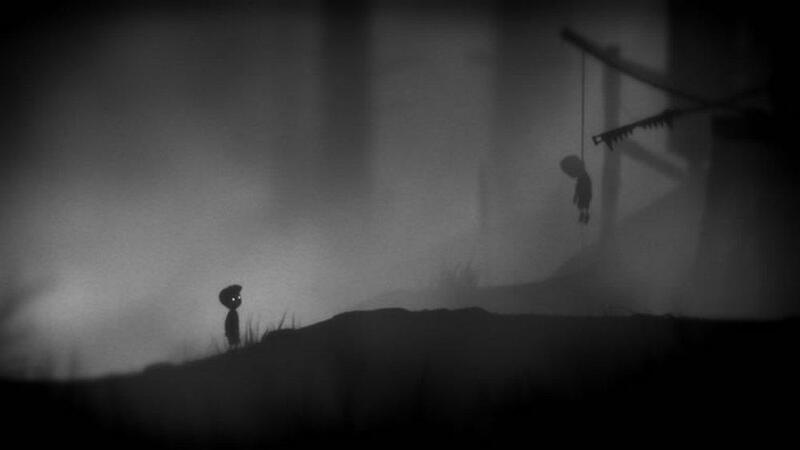 Award winning indie hit LIMBO is the newest member of the OnLive marketplace. The game is priced at $9.99 in the US ($6.99 PlayPack) and £6.99 in the UK (£4.89 PlayPack). LIMBO is an indie platformer published and developed by Playdead. LIMBO, a black and white puzzle-platforming adventure, puts players in the role of a young boy traveling through an eerie and treacherous world in an attempt to discover the fate of his sister. You have to solve many puzzles, and defeat some monsters along the way. Decipher the challenging puzzles and discover the fate of the boy's sister. LIMBO is simple and brilliant, the result of game + art. Game mechanics are great and its mood quite unique. Puzzles are quite easy but since mistakes often mean death and restart, that's a good thing, to avoid them into becoming annoying. Checkpoints are well and often placed. The game reminds one of Another World (Out Of This World), a timeless classic developed by Eric Chahi, which is a game loved by many. The sound in the game is also amazing, focused on details and ambience with no music, making it's dark mood even more creepy. The weakest point is the game lenght... quite short... they could've made the game a little longer, with harder puzzles near the end, but for 10 bucks it's more than worth it. You can play the free demo and buy LIMBO for the US powered by OnLive. You can play the free demo and buy LIMBO for the UK powered by OnLive. ProjectorGames, the indie game developer who is working to bring their hit title FortressCraft to OnLive very soon, could also bring the first game exclusively made for OnLive to the service as well. First reported by Bit Loaders last week, OnLiveFans has contacted Adam Sawkins (DjArcas) of ProjectorGames for more details. Before you start crying, “animal cruelty”, let us assure you that it doesn’t really involve dogs. 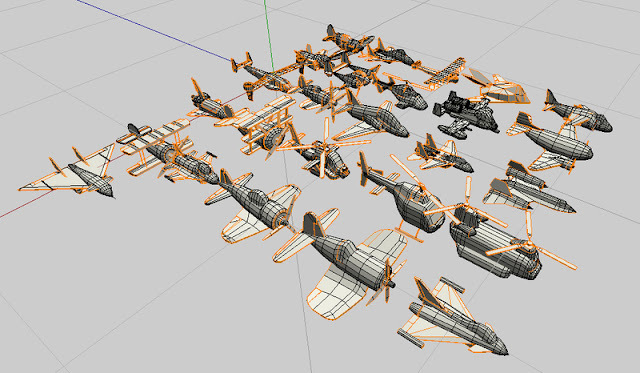 The game is a side-scrolling aerial combat game, that will include a huge amount of different 3D fighters, including helicopters, bombers, space shuttles and more. DjArcas, the head of ProjectorGames has talked about how much he loves OnLive as a platform in the past. He likes to utilize all the great things that OnLive allows developers to do, whether it be achievements, brag clips, or anything else. One thing that DjArcas said will be very unique to OnLive is the fact that gamers who purchase both FortressCraft and SkyKids would have the ability to get some in-game extras. According to him, gamers who already own FortressCraft at the time SkyKids is released would be able to unlock some extra in-game features within FortressCraft. That is if all goes as planned. Everything is still very preliminary, and the release of SkyKids to OnLive is still not entirely written in stone. It’s an idea that the developer has planned, but the release seems to be a ways off, if it even happens at all. Another thing that many OnLive gamers will like about SkyKids, is the fact that it would be a massively multiplayer game. “The neat bit is that we want a lot of players running. 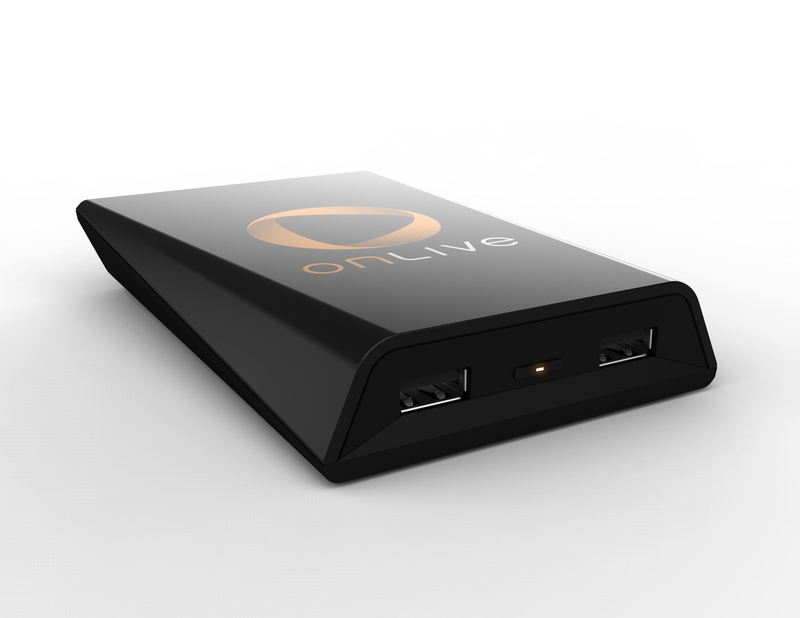 We know, 100%, that every OnLive player has an internet connection and we want to take full advantage of that,” explained DjArcas. SkyKids is planned to be a massively multiplayer game, exclusively released to OnLive. While some gamers may think of “massively multiplayer” as meaning 15,000 players, DjArcas doesn’t expect this one to come close to that. Right now ProjectorGames is focused entirely on bringing FortressCraft to OnLive. 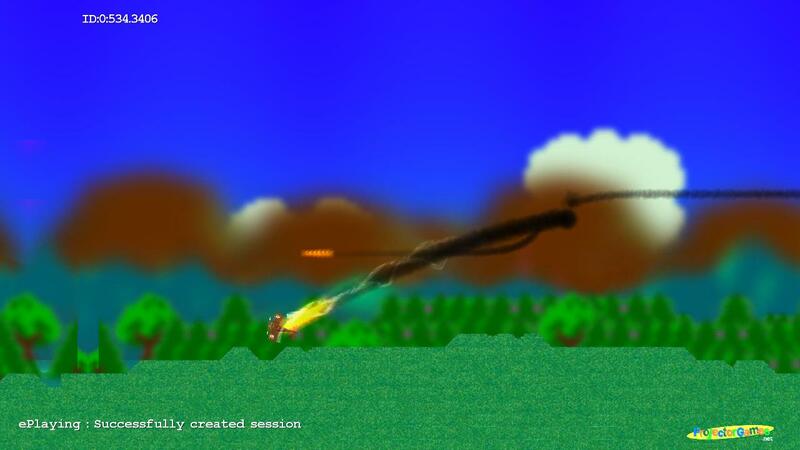 The game is almost ready for release. Once that is finished, the developer has plans to “get a few other little things knocked out” and then perhaps begin to really focus on SkyKids. Video quality takes a hit thanks to compression. Small selection of games compared to other services. Requires a network connection to the OnLive servers whenever playing. 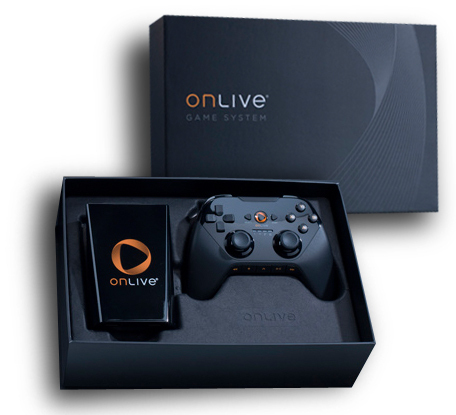 The OnLive Game System (MicroConsole) offers genuine cloud-based gaming for a reasonable price, and it really works. But some flaws currently hold it back from being a true replacement for your home game console or high-end gaming PC. OnLive is working hard on fixing these flaws and is improving the OnLive game service continuously. At 0.9 inches by 3.2 inches by 4.9 inches (HWD) and weighing just a half pound, the OnLive Game System (MicroConsole) is less a gaming console and more, as OnLive describes it, a TV adapter. These days, the term cloud computing is thrown around in a number of different ways. Most commmonly, it indicates that a service is simply available online. But that's not what cloud computing is. It's distributed computing, where multiple machines do work and a user far from those computers accesses that work as it's needed. The specific computer doesn't matter, because the work is spread out across multiple systems, and to the user it's all the same distributed service, that requires little actual local processing power. Genuine cloud computing comes to gaming thanks to OnLive, an online service that lets users play games that are streamed over the internet. OnLive's servers act as the game console, handling the processing a gaming PC or, say, an Xbox 360 or PlayStation 3 would do, working off-site and piping the gaming experience through to the user. 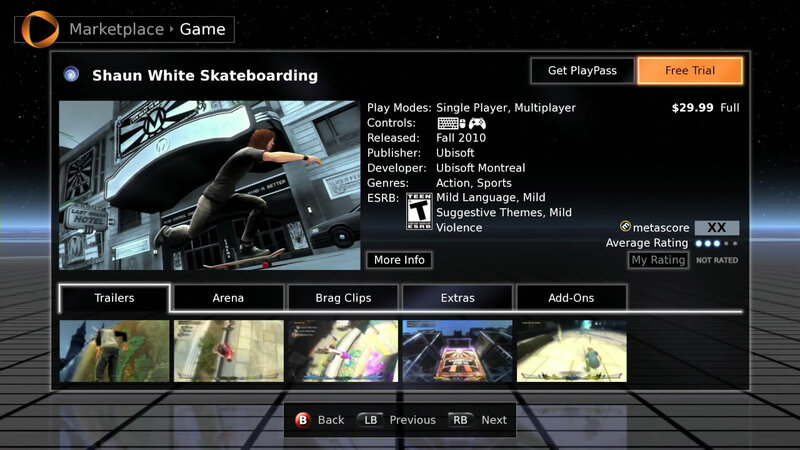 While OnLive is available as a PC gaming service (it's been active and available for free through a software interface since summer of 2010), it can also be accessed through the OnLive Game System (MicroConsole), a tiny set-top box that lets gamers play OnLive games on their HDTVs. At $99 in the US (£69.99 UK), it's a steal compared with the game consoles or PCs. The most amazing thing is that it actually works. Unfortunately, some flaws currently hold it back from being a true replacement for your home game console or high-end gaming PC, but OnLive is getting there swiftly. At 0.9 inches by 3.2 inches by 4.9 inches (HWD) and weighing just a half pound, the OnLive Game System (MicroConsole) is less a gaming console and more, as OnLive describes it, a TV adapter. It's just barely large enough to house two USB ports and a power button on its face and ethernet, HDMI, component, stereo audio, S/PDIF optical audio, and power cable ports on the back. If you have room for a Blu-ray box stacked casually on top of your Blu-ray player, you have room for an OnLive Game System (MicroConsole). 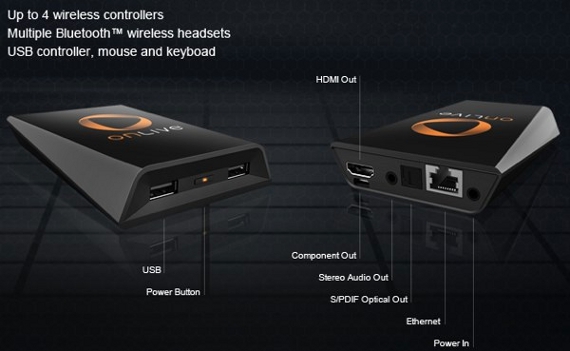 The OnLive Game System (MicroConsole) currently only supports wired ethernet connections. You can use wireless network bridges. 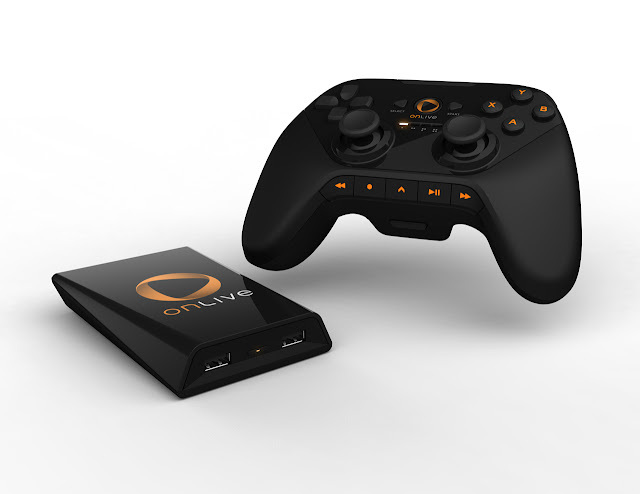 OnLive is working on a Wi-Fi enabled OnLive Game System (MicroConsole). It's just barely large enough to house two USB ports and a power button on its face. The OnLive Wireless Controller connects to and charges through a USB-to-microUSB cable. It's just barely large enough to house ethernet, HDMI, component, stereo audio, S/PDIF optical audio, and power cable ports on the back. When compared with the OnLive Game System (MicroConsole), the included OnLive Wireless Controller is a beast. It's nearly identical in shape and size to the Xbox 360 wireless controller, but at 10.4 ounces weighs over 2 ounces more. It comes with a rechargeable battery that can deliver up to 36 hours of playtime, and can play without batteries when wired to the OnLive Game System (MicroConsole) via a USB-to-microUSB cable. The buttons are configured in a standard PlayStation controller layout, with two analog sticks sitting under a direction pad and four face buttons, complemented by four shoulder buttons on the top of the controller and Start/Select/System buttons in the center. The OnLive Wireless controller adds five playback buttons under the analog sticks, for recording and playback of Brag Clips of games you play. The OnLive Wireless controller only works with the OnLive Game System (MicroConsole). 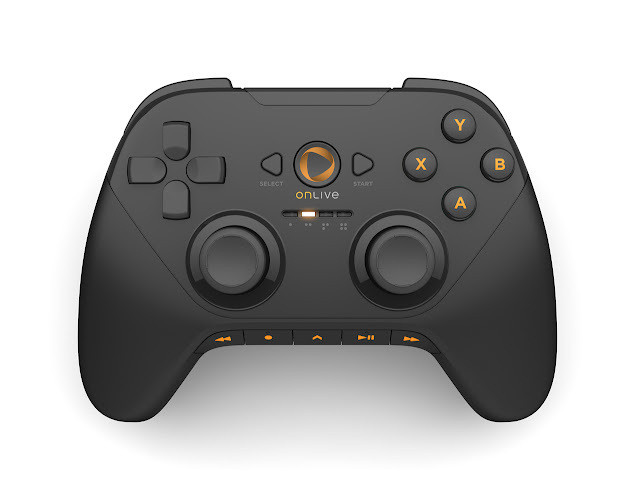 You can buy the Universal OnLive Wireless Controller to play games on the OnLive game service on PCs, Macs, Tablets, Smartphones, Smart TVs or TVs through the OnLive Game System (MicroConsole). Compared to the OnLive Game System (MicroConsole), the included OnLive Wireless Controller is a beast. It's nearly identical in shape and size to the Xbox 360 wireless controller, but at 10.4 ounces weighs over 2 ounces more than either the Xbox 360 controller or the OnLive Game System (MicroConsole). 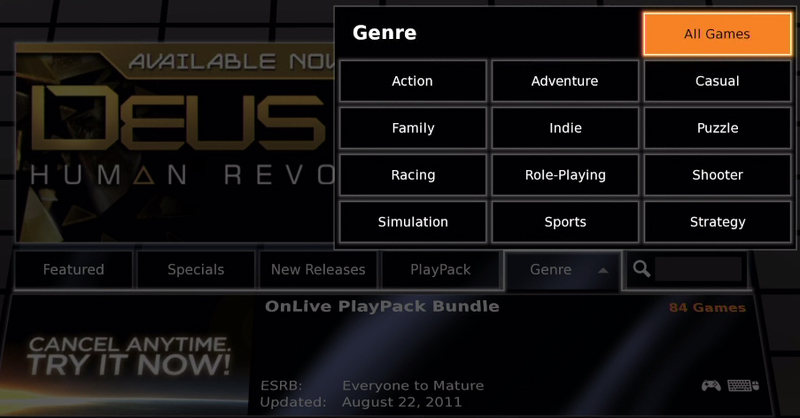 The OnLive menu system looks futuristic, like the future of gaming should look like. It's also smooth and functional. Currently, available games can be browsed through the OnLive marketplace, which offers a list of titles to try, rent, or buy. The marketplace shows up as a list that can be organized alphabetically, by Metacritic score, or by the age of the game. Gamers have the ability to view games by categories such as Featured, Specials, New Releases, PlayPack, or by Genre. They can also type in a search for a particular game in order to play it. You can also browse and purchase games through OnLive's website. The OnLive main menu is a basic grid of text buttons showing different sections of the service. Currently, available games can be browsed through the OnLive marketplace, which offers a list of titles to try, rent, or buy. The marketplace shows up as a list that can be organized alphabetically, by Metacritic score, or by the age of the game. Gamers have the ability to view games by categories such as Featured, Specials, New Releases, PlayPack, or by Genre. They can also type in a search for a particular game in order to play it. Gamers can choose a game genre and browse through the chosen genre to pick out a game of interest. 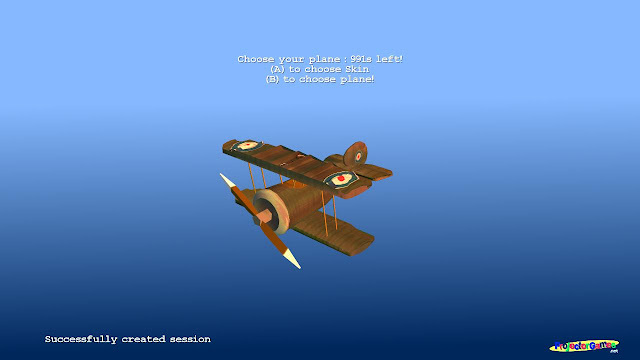 The game information screen shows details about the game, aggregate review scores, and gives options to demo the game, rent it for a period of time, or buy it. If you want to play games on the OnLive Game System (MicroConsole), you have a couple of choices out of the box: You can buy a title at the marketplace or first play a 30-minute demo (literally the first half hour of any available game). You also have the option of purchasing a pre-release game, and getting the OnLive Game System (MicroConsole) as a bonus. OnLive has offered free hardware to gamers who have have pre-ordered Homefront, Duke Nukem Forever, and Warhammer 40,000: Space Marine. If you go the marketplace route, you can choose between buying individual games or subscribing to the OnLive PlayPack, a growing collection of 149 games you can play for $9.99 (£6.99 UK) per month. The selection of PlayPack games is decent but not groundbreaking, and includes newer and older games like Borderlands, Deus Ex, Just Cause 2, LEGO Batman, and Homefront Large-Scale Warfare Multiplayer (only the multiplayer component of Homefront, not the single player campaign). You could subscribe to the PlayPack for three months, play every game that holds your interest or is remotely high-quality, and leave with the sense that you got a good deal. It's like Netflix's Watch Instantly feature, only with a much smaller library. 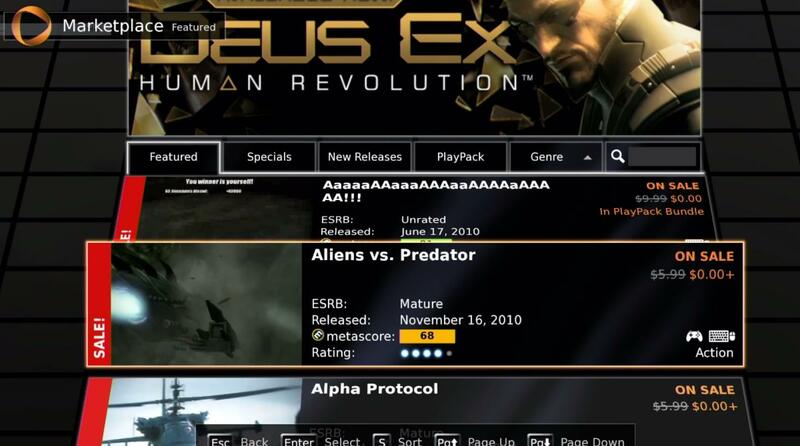 OnLive steadily gets new games like Deus Ex: Human Revolution and Warhammer 40,000: Space Marine. The selection isn't growing at a particularly fast pace, however, and compared to the regular new releases on services like Steam, Xbox Live, and PlayStation Network, OnLive's marketplace seems anemic. Now, on to the remarkable part. Against all expectations, the OnLive Game System (MicroConsole) works well. Cloud-based gaming has been proven to be feasible through OnLive's technology. While it's not perfect, it offers a selection of games that, while under any other circumstances would require either a lengthy installation process or physical media, can be loaded and played in less than a minute. The OnLive Game System (MicroConsole) itself doesn't do anything more than send out input and take in audio and video from OnLive's gaming cloud; the game runs on OnLive's servers, and it works well. Of course, since this is all done through OnLive's service, you need to have a working internet connection and to be logged in to OnLive to play anything. Conventional download services usually let users play when they're not online. I tried a variety of games and genres, including first-person shooters (Homefront Large-Scale Warfare Multiplayer), third-person sandbox shooters (Just Cause 2), hack-and-slash games (Ninja Blade), independent puzzlers/adventures (The Maw), and even strategy games (King's Bounty: Armored Princess), all of which are included in the PlayPack. Each game loaded flawlessly and let me jump into the action as if I had just installed it to my PC. In the action games, the gamepad acted just like an Xbox 360 gamepad plugged into a PC, either showing just the standard A/B/X/Y buttons with the corresponding Xbox 360 colors, or showing both the buttons and the equivalent keyboard and mouse buttons. King's Bounty: Armored Princess registered my gamepad's analog sticks as a stiff mouse input, and while, technically, it worked, it felt too clunky to be functional. Fortunately, the OnLive Game System (MicroConsole) supports USB keyboards and mice. In fact, for some games (including Deus Ex), a keyboard and mouse are outright required, and the gamepad won't work. The menu system lets you know what control scheme works with what game. Despite the slightly stiff control pad, game control was virtually latency-free in my tests. I pulled off head shots and accurately beat quicktime events with ease, without the sense that my controls were being transmitted not to the OnLive Game System (MicroConsole), but far away to OnLive's servers before they registered. Lag is the first thing that can ruin a fast-paced gaming experience, and the lack of it helps cement OnLive's service as a valid gaming system. I even managed to enjoy some multiplayer gameplay with Homefront, and it felt just as responsive and competitive as playing Call of Duty: Black Ops on my PS3. Graphics were similarly lag-free, though they suffered from a problem. We tested the OnLive Game System (MicroConsole) on the Samsung LN52A750, a relatively older HDTV that still offers excellent picture quality. In order to get the picture and sound to your HDTV all the way from OnLive's servers, the video feed has to be compressed. The result is a picture that, while still capable, isn't close to the quality of a PS3 game, and falls short of high definition despite the technical 1080p output from the OnLive Game System (MicroConsole). It feels a lot like playing a ported PS3 game on a Nintendo Wii; the basic idea is still there, but the video takes a significant hit and looks much fuzzier than its competitors. It's certainly playable, but it's not nearly as crisp as if you were running the game on a local Xbox 360, PlayStation 3, or PC. The technology is still too limited. 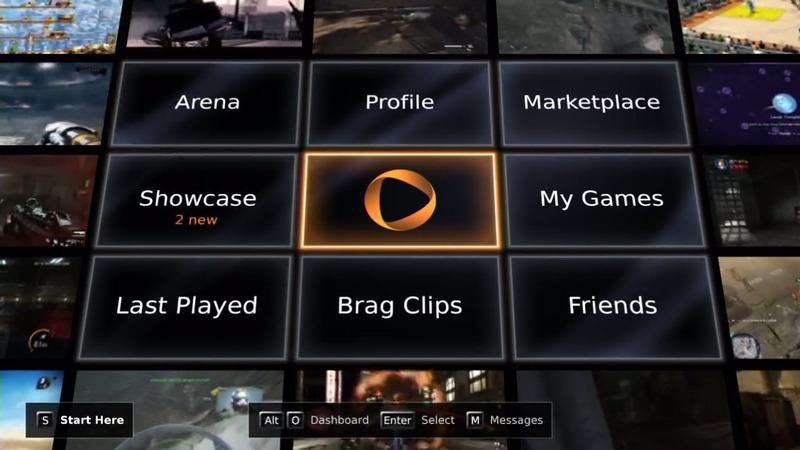 OnLive manages to do something impressive here: Marry cloud computing and video games. Unfortunately, like all nascent technology implementations, the OnLive Game System (MicroConsole) still needs some work before it will be widely accepted. It works from a gameplay perspective and it's fast and easy to set it up and get to playing, but the downgraded graphics and small game library hold the $99 in the US (£69.99 UK) gaming console back from being a truly compelling purchase for gamers. The fact that you have to be connected to play, and that even games you purchase you can't actually download and possess in even the local storage sense, further makes it an uncertain endeavor for gamers. Of course OnLive is continuously improving the OnLive game service. The longer OnLive stays in business and grows, the more gamers will trust OnLive with their game purchases. Games from publishers Square Enix and SEGA are 50% off on OnLive all week until Sunday March 4. OnLive calls this the half-off all week sale. The sale is going on in the US and UK. The crown jewels in the sale are of course Deus Ex: Human Revolution and Deus Ex: Human Revolution Augmented Edition which are 50% off in the US and UK. OnLive PlayPack subscribers can also take an additional 30% off these already reduced prices. THQ announced that the Saints Row: The Third - Bloodsucker Pack DLC is coming to OnLive on tuesday. Screw Team Edward. Wouldn’t you rather be on the team of a vampire with dual katanas and a thirst for enemy blood, like our very own vampire-hunter-turned-vampire, Nyte Blayde? The newest add-on for Saints Row: The Third, the Bloodsucker Pack, provides you with a brand new ability to latch onto your captives and regain health from sucking their blood, performed by pressing in on the right stick. This pack also comes with other bonuses to keep you in the game, including VIP bonuses for Cash Boosts, Hourly Income, Respect, and the Scavenger ability. The Bloodsucker Pack releases on Xbox 360, PlayStation 3, Steam, and OnLive on or around Tuesday, February 28th for 160 MS Points or $1.99. In the last livecast, OnLive MJ said that livecasts will be on Tuesdays 2pm PST from now on. Well, he didn't hold his word on this week's livecast as it was again on friday. He also ran into problems with USTREAM, as USTREAM didn't save the recording of the livecast. He tweeted, "And I'm now angry. Ustream didn't save the recording. "Recording error" for the last LiveCast. Sorry guys!" So there is no video of this week's livecast, whether on MJ's USTREAM channel or OnLive's YouTube channel. - Indie hit LIMBO is coming to OnLive on Tuesday as a PlayPass title. - There are also other games being released to OnLive, but no word on them. 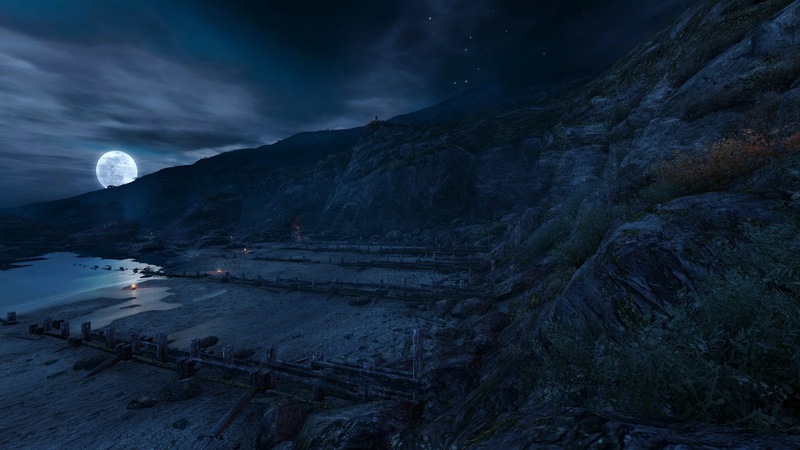 - OnLive is working on the Mediterranean Traveler Map Pack DLC for Assassin's Creed: Revelations. There is no current information on the upcoming Lost Archive DLC. - OnLive wants to bring the cloud-accelerated web browser to more platforms, but no information beyond that. - Chances are 50/50 that OnLive is coming again to this year's Eurogamer Expo. Last year OnLive launched its cloud gaming service for the UK on the Eurogamer Expo. - OnLive is working on new UI improvements, but incrementally. New changes are coming soon. In spite of it being an absolutely dead week on the OnLive gaming side of things, the livecast gave more information than expected. MJ made it rather clear that Onlive gaming isn't going to be neglected, and that things are just slow at the moment. Onlive Desktop is certainly their star for the moment, but I doubt that'll be the case for too long. Stay tuned for next week's livecast from OnLive community manager Matt Jensen. Why does this matter? One thing is clear when you talk with CIOs about preparing for the future: they have to deal with their current reality of legacy applications and client-server technologies, not just throw everything out and rush headlong into a future of stateless computing and cloud delivery. OnLive started as a game streaming and cloud gaming technology. But, immediately the thought came up this could revolutionize desktop virtualization! In fact, that is just what OnLive is about to do. It offers enterprises a way to deliver all the legacy applications and the windows desktop environment to nearly any device, including iOS and Android. It leapfrogs one of CIOs' biggest hurdles by enabling stateless delivery to non-stateless devices, and with content that was not designed with device independence in mind from the start. Citrix is the dominant provider of virtual cloud desktop technology. However, it is generally used not to provide the complete desktop but as a host to applications that, for whatever reason, IT doesn’t want to run natively. Citrix was purpose designed to provide a terminal-like PC experience and its technology goes back to its founding by an ex-IBM executive in 1989. OnLive is the new kid on the block. It was initially designed to host gaming and officially launched its first product in 2009 by Steve Perlman, an ex-Microsoft executive/rebel who had previously run WebTV, which was acquired by Microsoft. Its new desktop video presentation is compelling because the iPad integration is impressive. Both companies want to virtualize your PC, but both are vastly different. Citrix by any measure is a mature enterprise company. The Citrix products are successfully resold by a large number of resellers and OEMs in a broad cross section of markets. They are rich in tools, security compliance and are fully mature. However, while more successful than prior alternatives, they’ve never really become a viable alternative to local code. Complaints that surround the offerings, mostly user-based, are based on performance and IT complaints would indicate that IT buyers often can’t justify the cost. Like Microsoft, whom it partners with closely and where it avoids competition, Citrix has increasingly focused on servers and in 2009 started offering advanced server management tools in a partnership with Microsoft. This defocused it from the desktop, likely due to a lack of strong competition there coupled with slow growth. The end result is that while it is still known for desktop virtualization, it seems, based on product set, to be mostly focused on systems management, application delivery, workflow, and remote PC access and management. OnLive by any measure is not yet an enterprise company. It lacks the partnerships that Citrix enjoys but those partnerships, as Apple has been demonstrating most of last decade along with close IT alignment, have been devalued by a culture change we call the "consumerization of IT." This trend has employees and line managers, not IT, increasingly driving not only personal technology choices but the use of IT-like services into companies like Amazon where they can be purchased with credit cards. OnLive is a virtual desktop pure play. It developed a custom hardware/software/networking solution that can provide performance in line with a workstation to iPads and other consumer-driven devices. Its latest release announced Microsoft Office and full Flash support for iPads and it is expected to embrace the rest of the tablet ecosystem shortly. It anticipates the massive improvements to wired and wireless networks that are expected in the next 5 years. It is much closer to a thin client pure play and the only hardware the company currently sells widely is an inexpensive set-top box that brings its PC experience to HD TVs. Cost ranges from free to $4.99 a month per user for Office, Adobe Reader and basic storage to gigabit internet browsing with Flash and PDF support. A more expensive plan costing twice this is anticipated for a larger software bundle, including workstation-class creation products. These are vastly different companies with vastly different offerings. Citrix is largely based on concepts that drove the market prior to 2005 and does not reflect current user-driven initiatives. OnLive is exactly the opposite; it isn't yet mature and it is largely based on these same initiatives. In short, Citrix represents the past and OnLive the future. While IT generally lives in the past due to massive legacy code issues, increasingly, IT is being forced to become far more agile as it attempts to keep up with user and line demands. If it doesn't keep up, these folks are pulling out credit cards and bypassing IT and in this OnLive represents a real threat as clearly the credit card approach could work easily there. OnLive still lacks solutions and is still largely in pre-release for the desktop. And it also lacks packaged solutions that would allow companies to run services in-house though it is developing them, making its offerings mostly appropriate for small and medium-size businesses. However, expect it to eventually partner with OEMs and begin selling server/services bundles in conjunction with one or more players as it steps up to this opportunity. It’ll increasingly put massive pressure on Citrix both to reduce costs and to strengthen the user experience, but two players will also further validate and expand the market, which could help Citrix as well. For now, it is worth checking out OnLive Desktop just to get a sense for what is coming, for in about 10 years, your entire desktop will likely come from the cloud.